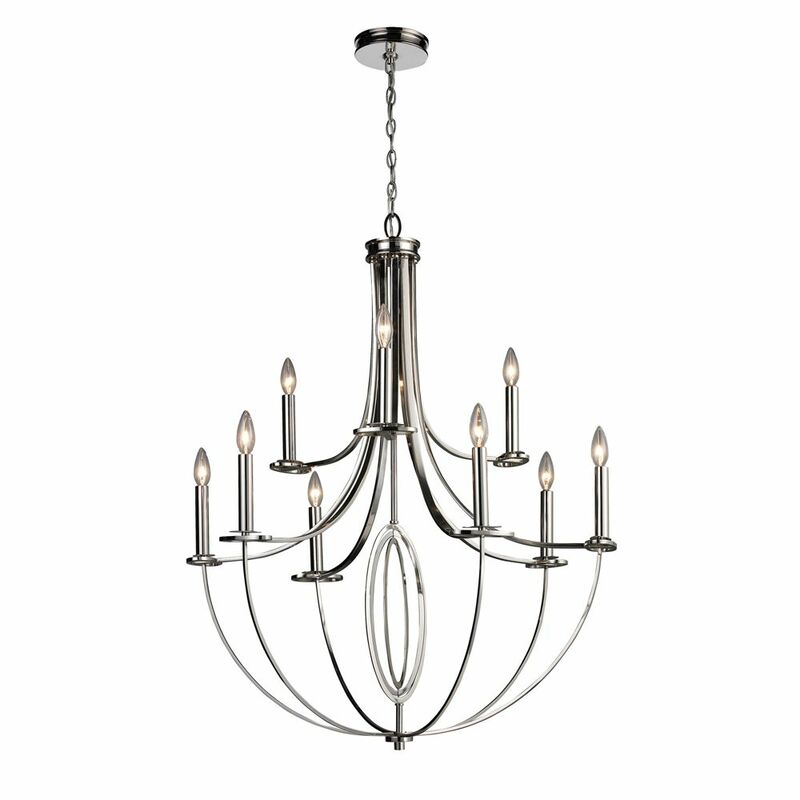 9-Light Ceiling Mount Polished Nickel Chandelier This Collection Utilizes Sleek Lines With Laser Cut Oval Accents. This is Used To Achieve A Perfect Balance. The Polished Nickel Finish Contributes To This CollectionS Refined Beauty.